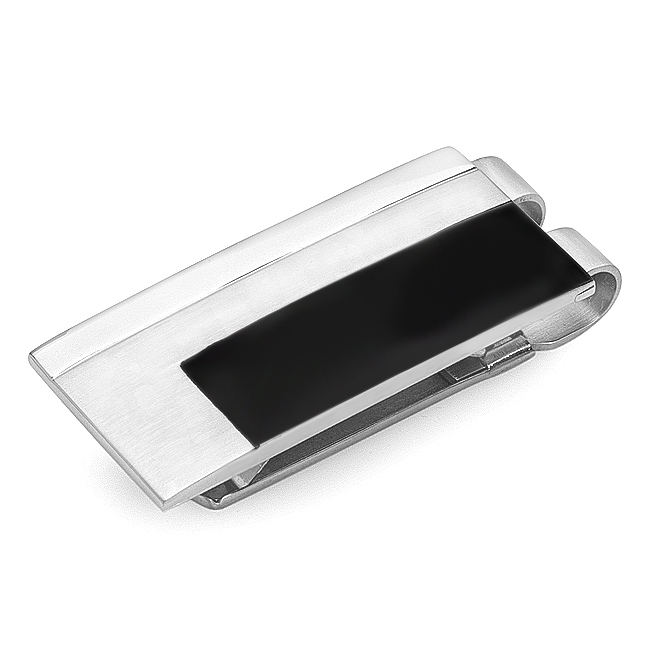 The Noir Collection money clip is the perfect combination of industrial stainless steel and elegant black satin ion-plated accents. 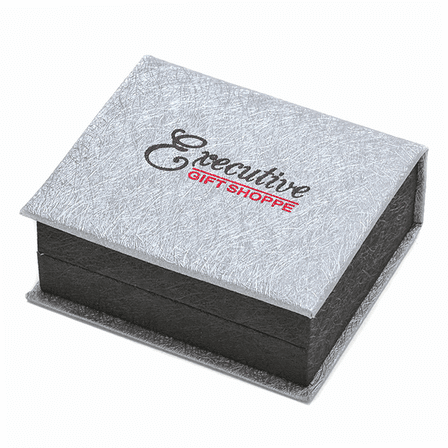 This is the money clip for the professional business man who stays current with style, but never sacrifices timeless elegance! 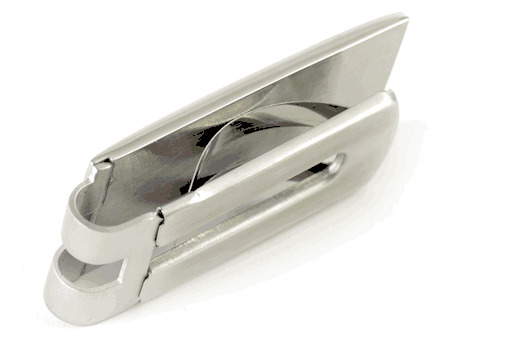 The spring-loaded grip mechanism will securely hold up to 20 folded bills, and allows for easy removal and addition of cash. 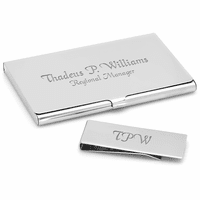 Add unique and thoughtful custom engraved name or initials to this money clip at no extra charge! My boyfriend loved it, great spring. It�€™s very nice and classy! Nice initial! Fast shipping, nicely wrapped. Very happy with the product and service! 5 star. 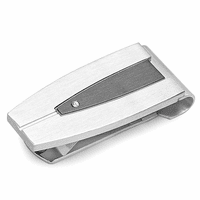 I had lost a money clip, and after looking online, I saw this one. 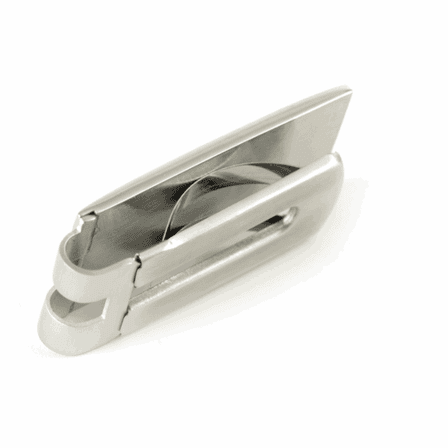 I prefer spring-loaded money clips, and this one was just what I was looking for. It is simple and elegant-a real class act. 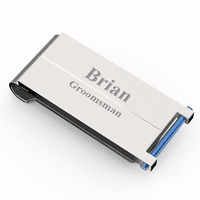 My husband was surprised to have received this money clip for his birthday. The spring loaded feature keeps all of his bills in place. He thought the black contrast on the silver makes it look classy, and he loves the monogram with his initials. He'll be using this everyday. ProsHolds money/cards tightely. Excellent quality. Slim. I ordered this as a gift for my son. It arrived quickly and is even more attractive in person. He absolutely loves this clip and carries it proudly. It is high quality and holds his bills perfectly.